Laguna Seca is still one of the most challenging circuits for any rider to learn. 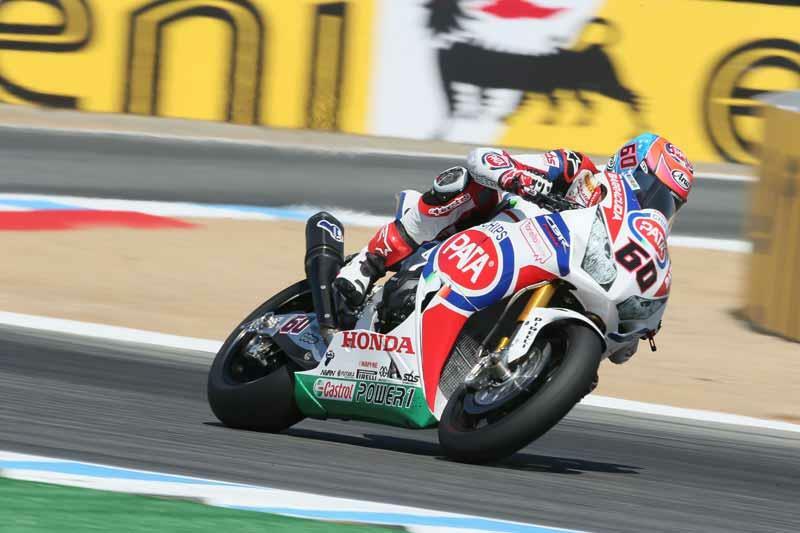 Last weekend's World Superbike round showed this for Michael van der Mark with the Dutchman having a difficult weekend as he adapted to the track and tried to find a good setup. Even so coming away with two top ten finishes allows him to continue building momentum in his rookie campaign. "It’s been quite a difficult weekend and, together with trying to learn this amazing circuit," said van der Mark. "We have struggled to get the bike set up properly, so I had to come a long way from 15th on the grid. I made a really good start in the first race and moved forward about five places. But I couldn’t keep up with the guys in front of me and ended up in a lonely and boring race for eighth. "In race two I had another good start and had a better feeling with the CBR. I was able to keep pushing throughout the race so, in the end, I’m quite happy to get two solid top ten finishes. I’m in a good frame of mind for the 8 Hours now, which I’m really looking forward to." Van der Mark is back on racing duties this weekend at the Suzuka 8 Hour in Japan riding for the factory Honda squad alongside double MotoGP world champion Casey Stoner.